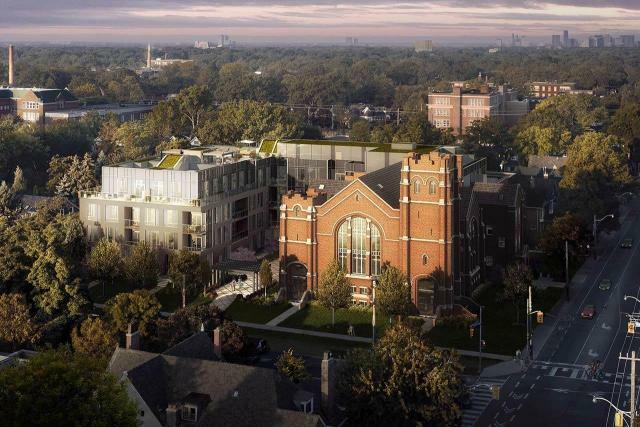 260 High Park Avenue is a church conversion of High Park Alhambra United Church by TRAC Developments, designed by Turner Fleischer Architects. 77 condominium suites. Landscape architect: MEP Design Inc.